Maisie Jones from Abergele had a super drive today 18th September 2018. 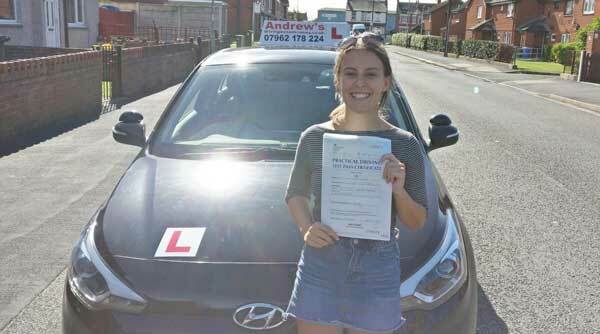 Maisie passed her driving test with just 5 minors after a short intensive driving course in Abergele. Call us now to book your lessons in North Wales, we cover from Prestatyn throught to Holyhead in Anglesey. Book an intensive driving course with us today.